Successfully Added Desktop Stereo Condenser Microphone - 3.5mm Output Jack, Noise Cancellation, 6 inch Tripod to your Shopping Cart. 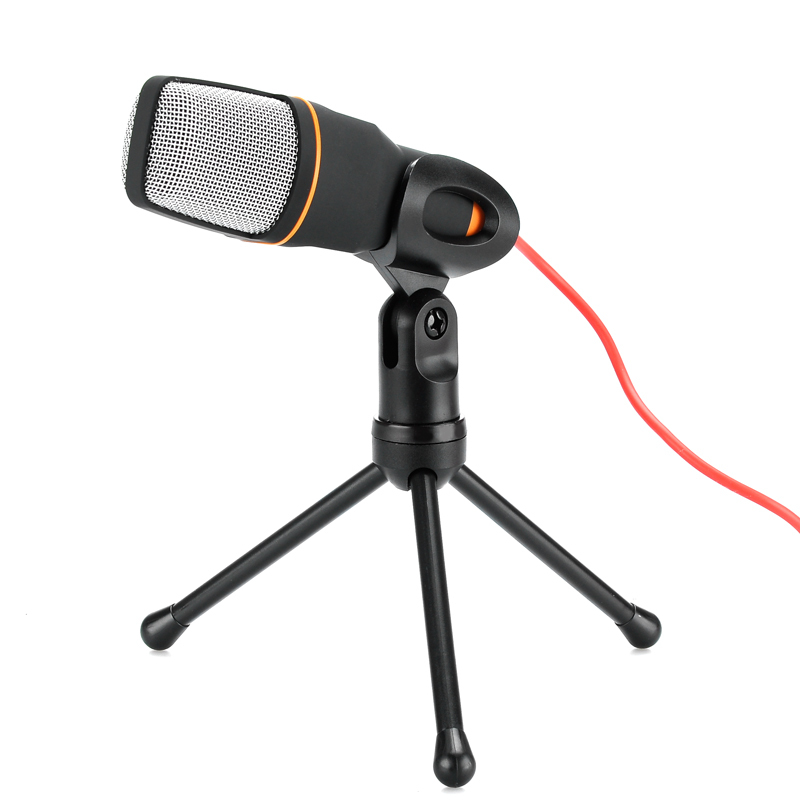 This compact wired Stereo Condenser Microphone comes with a 6 inch tripod stand for ease of use and uses a 3.5 mm output jack so it can plug directly into your computer, Smartphone, tablet and many other gadgets and electronic devices. This condenser microphone produces a high quality audio signal and has a soft touch finish making it comfrey to hold and use. The two meter lead provides plenty of distance to connect to you computer, amp or directly to a video camera. This budget value condenser microphone has a good sensitivity but with superb noise cancellation it is able to filter out much of the background noise to leave a crisp clear recording. With a frequency response from 50MHz to 16 KHz it can cater to all your needs so With a frequency response from 50MHz to 16 KHz it can cater to all your needs so is great for your podcasts, video blogs or even just for chatting on Skype or making a conference call. You can even use it to set up your own KTV or Karaoke party and sing the night away with your friends. This stereo desktop Condenser Microphone comes with 12 months warranty. Brought to you by the leader in electronic devices as well as wholesale microphones, Chinavasion..